Happy Monday! Thanksgiving is only three days away now and we hope you are getting ready for a day of eating and giving thanks! Dessert is one of my favorite things and at Thanksgiving I always end up making the traditional desserts - apple pie, pecan pie (with perfectly placed pecans in concentric circles) and pumpkin pie. Sometimes though, you want the taste of pumpkin but with a twist. We found some unique ways to have your pumpkin and eat it too! Let us know what your favorite Thanksgiving dessert is in the comments below! 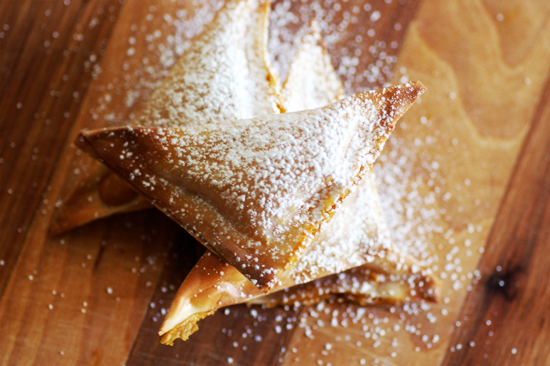 Baked Pumpkin Wontons - We love the idea of our own little baby pumpkin pie a la turnover. A little sprinkling of powdered sugar and you have a perfect little dessert! Pumpkin Cream Cheese Truffles - Candy is always dandy and these sweet little pumpkin truffles are just the ticket! These can be made ahead of time and are great to leave out for guests to nibble on before or after they take a post-meal nap. 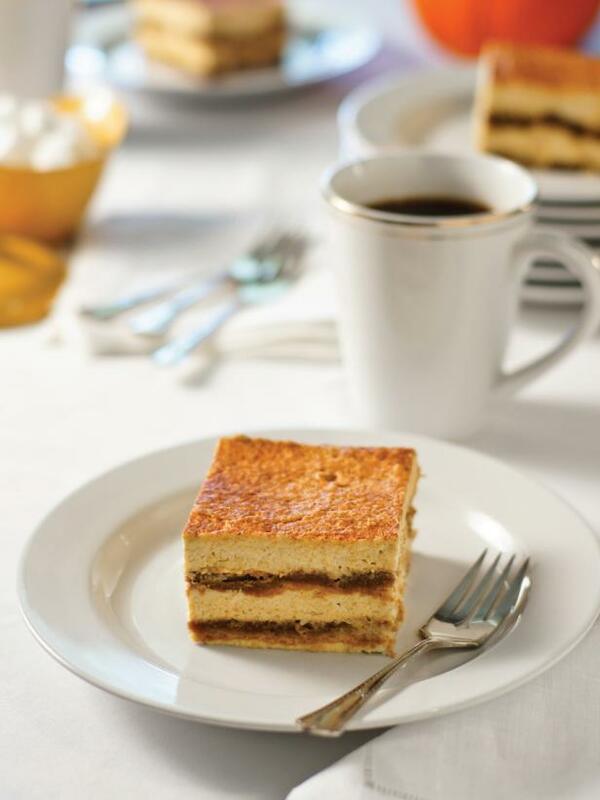 Pumpkin Cheesecake Tiramisu - The idea of tiramisu anything makes us happy and combining it with pumpkin is brilliant! Another dessert that can be made ahead of time. Dairy Free Pumpkin Ice Cream - if I had to pick one dessert to have forever, it would be ice cream! This creamy and Thanksgiving-ish version is also dairy free! 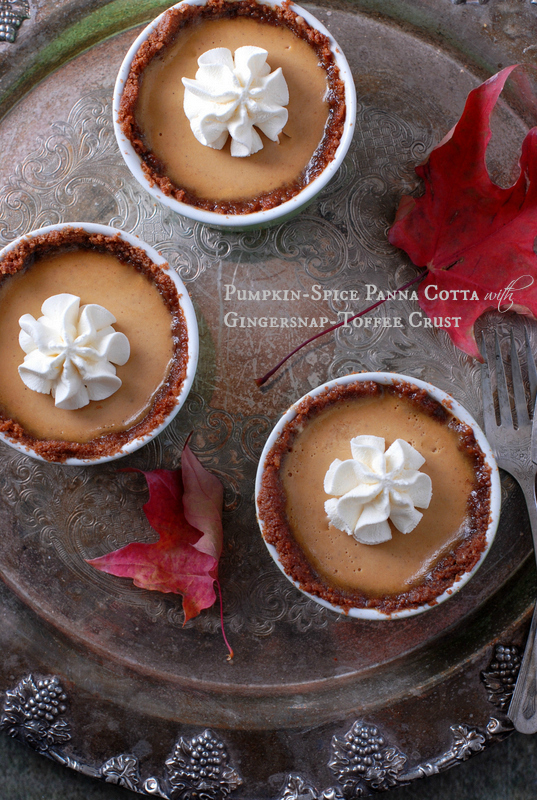 Pumpkin Spice Panna Cotta with Gingersnap Toffee Crust - These cute little desserts look like pies but there is something about Panna Cotta that is more light and airy and perfect after a heavy meal. 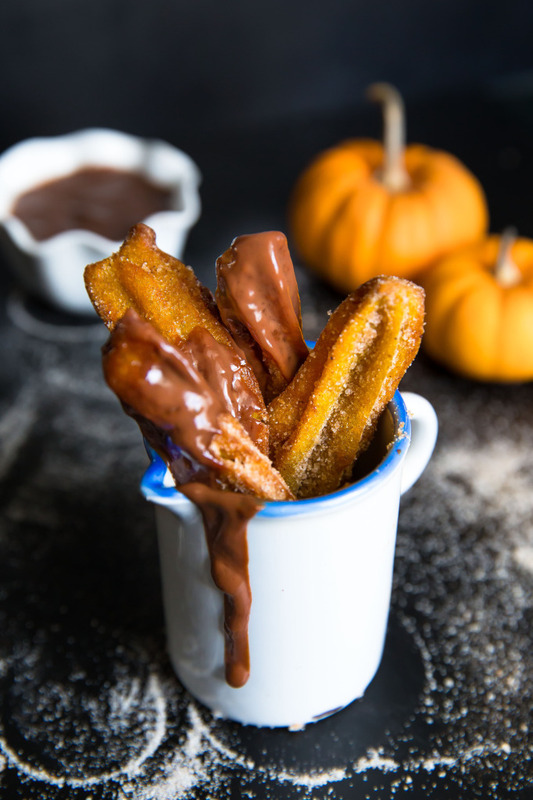 Pumpkin Churros - It's not a party until there are doughnuts or churros, right? We love the dipping sauce but you could also add some pumpkin spice to sugar and toss the churros in that. 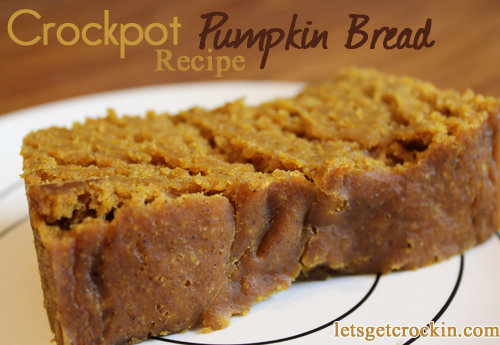 Crock Pot Pumpkin Bread - I am always on the lookout for a great crockpot recipe and this one fits the bill so nicely! I always have leftover pumpkin from making a pie or two and now I have a great use for the remaining pumpkin! Pumpkin Roll with Cream Cheese Frosting - Cake rolls look a lot harder than they really are. The trick with this kind of cake is making sure you roll it while it is still warm. Pumpkin Spice Caramels- Here is another sweet that is perfect at the end and if you wanted to, you could make these ahead of time and wrap them up in waxed paper and send some home with your guests in their turkey (aka doggie) bag.